The second best player on the Toronto Raptors is Pascal Siakam. Now, initially that may be weird to even consider. We’ve seen glimpses of potential stardom from Siakam, be it in his first year as a G League star with the Raptors 905 or in his sophomore season, showing off raw ability as well as natural instincts far beyond his years. That being said, no one could have expected this – and at the very least, not many could have expected this so soon. 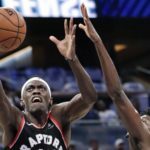 The development of Siakam has been so rapid and unprecedented that outside of Canada, people may not even realize that Siakam has turned into a star on the team with the best record in the entire league. It is happening right before our very eyes yet most people are just not paying enough attention to it. The 2019 NBA All-Star is in Charlotte and Pascal Siakam deserves to be there. The most popular statistics may not look the most jaw-dropping and although he is nearly doubling his production from last season, 15.2 points and 6.9 rebounds per game doesn’t necessarily scream All-Star. If anyone can lock up the Most Improved Player of the Year award in January, Siakam has done just that. But, to truly understand the impact of Siakam, it is vital to not only jump into the advanced metrics, but to compare his production to that of the league’s best. 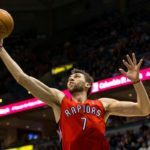 Currently ranked top-five in the Eastern Conference in field goal percentage (57.2%), Siakam has dominated the numbers that don’t come up on the stat sheet. 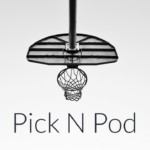 Win shares are exactly what you think they are – the amount of wins a player contributes too. 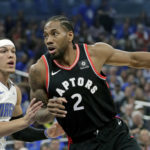 Siakam (4.9) is currently ranked seventh in the East, among the likes of Kyrie Irving and even his own teammate Kawhi Leonard. He is also seventh in the East in VORP (2.0) – meaning value of a replacement player. An unlikely path has taken Siakam from Douala, Cameroon to the NBA. 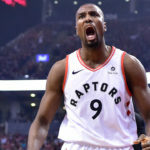 Initially, he had little interest in basketball and up until the age of 15, Siakam was hoping to become a catholic priest. Discovered by fellow NBA-er Luc Mbah a Moute at a local camp, he was chosen to participate in the NBA’s Basketball Without Border program. Despite very raw, he was able to secure a scholarship to New Mexico State, a Division I school in a lesser known Western Athletic Conference. After a coming out party of a freshman year, Siakam declared for the draft and well the rest is history. Three years later, he is the second best player on the best team in the NBA. The scary thing is, this wiry and explosive 24 year old point-forward has all the tools to become even better and the projectability to become an even greater force in the NBA. Pascal Siakam has most definitely arrived.